I'm Eddie Villa, one of Van Wastell's brothers. 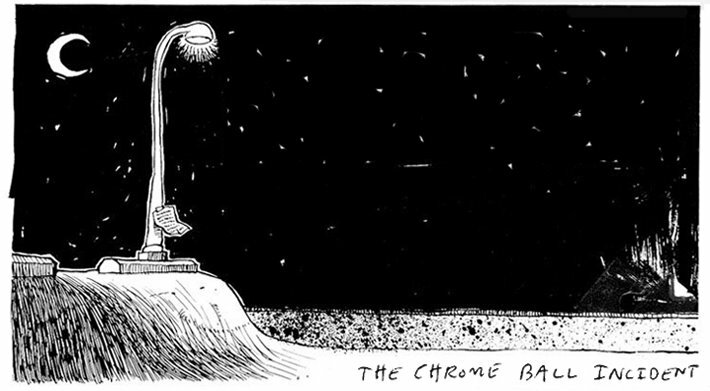 I've teamed up with Chrome Ball to celebrate what would be Van's 28th Birthday today with some memories and stories to share from my time with him. I’ve been thinking about Van a lot lately and it's weird, there are things that are just now starting to pop back into my memory. Like I just remembered the time Van asked to borrow my truck back in 2006. I didn’t know what he was doing until he ends up showing me this cement ramp that he had made with Fleming Biglalow in Newbury Park. I thought it was way rad. He had used my truck to go to Home Depot and buy cement and everything else he needed to make a cement quarterpipe in a ditch. It was fun for a little while... until the snobby rich people complained and had it removed. But I went up there with Van right after it was done and did a few kickturns on it. Van was busting all kinds of blunts. He was so stoked on making that ramp. The picture of Van doing a nosepick was taken by Joe Krolick, the rest are from a cell phone. I remember Van showing me this one for the first time when we were back in his room at the parents’ house. Always liked it cause he had that 70’s hair going on. The backside heelflip is so dope. This one always reminds of back when Van was filming for the Krooked Naughty video. I really like this one… even had a sticker made out of the font for my truck. I was working at Val Surf skateshop when this ad ran in the September ’08 Thrasher. Van had just come in to grip a board and I showed it to him. It was really weird because I was stoked but Van just stared at it with a frown. He said it was supposed to be a sequence ad because it’s a back 5-0 to fakie. You can see the footage in Joe Krolick's DLXSF 2008 Podcast. Most of the photos in this one are from a backyard bowl session (1/30/08) that was part of a Matix Shoot. There are some really good photos of Van and Mike Anderson from this session. This is definitely one of my favorites because it’s Van doing his signature move: the frontside tailslide shuv-it out on the hubba. 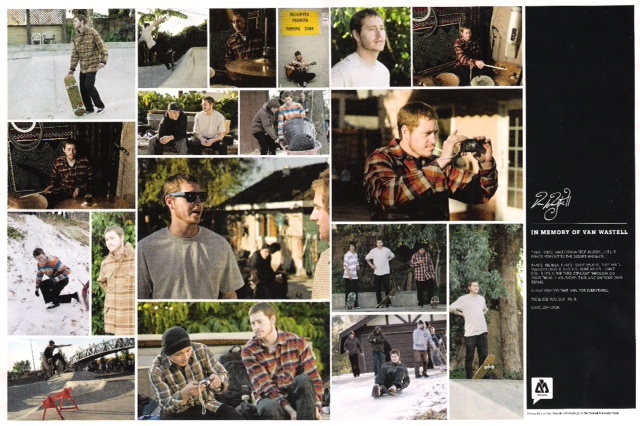 Ask anyone who skated with Van… like Mikey Taylor, Justin Case, Sean Foy, Ryan Leach… anyone who was there, they will all tell you that trick is called "The Van Slide"
I really like this ad a lot. Even got Vans to print it out for me and I put it in a light above the register at Val Surf. I remember working one day and some kid started telling his Dad about how he knew Van. He was all excited. He was saying how he knew my sister Julie... I just played dumb and went along with the kid. I was just like, "Yeah, Van’s awesome, huh…"
I ended up calling Van on my lunch break to tell him about his obsessed fan at Val Surf. He laughed. This ad ran in the fall of 2008 but the photo was taken earlier in the spring of that year, right around the time I helped Van move into his apartment. 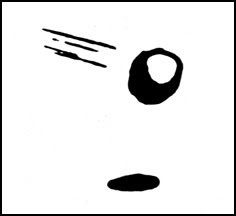 This one always reminds me of that time in my life when I was hanging out with Van and skating a lot. I really love this one. 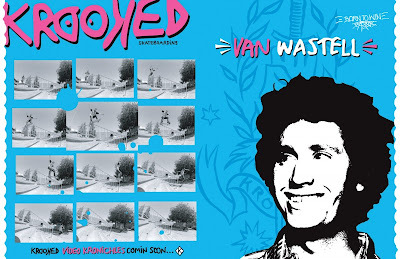 This was back when Van went to Hawaii with the Matix team right before Christmas, 2007. Anthony Acosta took those photos on December 19th. I always felt that this one really captures Van. Timeless. This is Van and I at Christmas that year. He barely made it home in time. This is one of the only shots that exist where Van wearing his signature Matix flannel. I have 2 parts of Van’s that I consider my favorites. The first one being the regular edit on disc 1 of his Krooked Kronichles part (2006). I really love this one because over the year that he filming for this one, I feel this was Van at his best. And I remember him being so stoked on having such a good part for Krooked. One thing that stands out about that part is the day we went up to this broken pool up in the Malibu hills. I was trying a blunt on that quarter pipe and ended up slamming out of the back and falling behind the pool. Van laughed so hard when we were watching the footage in his room that he put in his part (1:03). I did end up getting a backside disaster though and Van made sure to put that in his part, too… right after the slam at 1:07. Stoked on that. 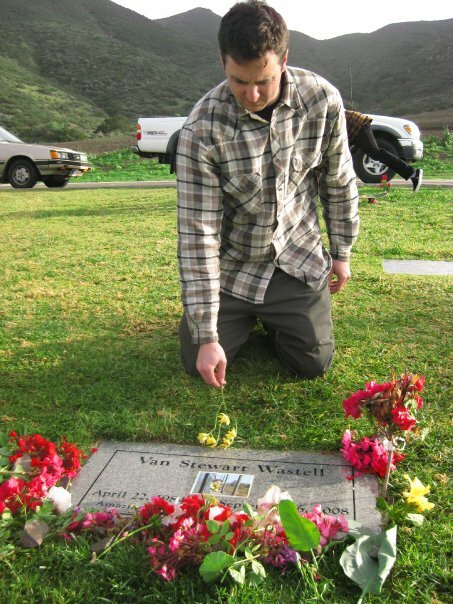 Something that I’ll always remember during the making of Krooked Kronichles was when I drove up to S.F in January of 2004 to record a song with Van. We had written a song that was supposed to be in the video but never made it in. Here’s the video. My second favorite part of Van’s is from Joe Krolick’s “Vote for Vans” Krooked/DLXSF Podcast (January 2008). This one sticks out because I was there for a lot of the filming. Joe’s probably one of the best filmers/editors in the industry and was Van’s main filmer, along with Tyler Cichy. I still keep in touch with Joe and while I can’t give any details right now, I know he’s planning something really special for Van. 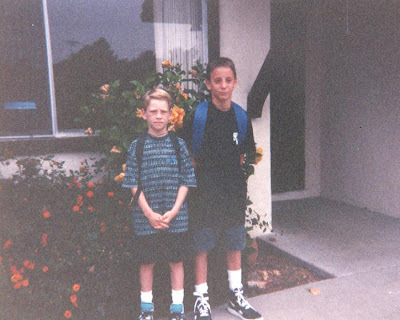 Van Wastell became my brother when I was 7 years old after my Dad married his Mom. We shared a room for years and Van became like a real brother to me. I still think the raddest thing was whenever we’d introduce ourselves to someone, it was always, "This is my brother Van," or "This is my brother Eddie.” It was never "step brother". Even my older brothers Kurt, Andy, and Jeff, I consider them my "real" brothers just like they do for me. Here's a photo I came across of Van and I visiting our brother Kurt in Utah, 2005. The three of us were like a trio. Whenever Kurt would come visit us here, we’d always go surf Zuma and County Line. That photo of Van in his wetsuit is rad because not that many people know Van surfed. This is Van, Alanna Gabin and I on Van’s Birthday, 2007. My Dad took this photo of Van and I on our older sister Julie’s birthday, just two days before he left for Berlin. In this photo, Van and I are actually talking about getting an apartment together the following Sunday when he was supposed to get back. Sadly, we didn’t get the chance. Joe Krolick was with Van in Berlin taking photos on his last day. This is him smiling. This is the very last photo of Van, taken just hours before we lost him. This is at Van's Spot in 2010. I met up with Mike Anderson that day and one of the homies, Nick Bogros, snapped this shot while I was laying down flowers. I know it’s sad to look at but it does show how I really feel without Van. I always take the opportunity to show Van’s fans out there just how great and special he is because I know that he would’ve done the same for me. Four years later, it’s still very hard without him. Love and thank yous always to Mickey Reyes, Jim Thiebaud, Darin Howard, John Alden, Tommy Guerrero and everyone at DLXSF, Scott Sisamis, Jamie Hart and everyone at Vans Shoes, Joe Krolick, Gabe Clement, Brian Dunlap and everyone at Matix Clothing, Todd Huber and Corey Phillips at Skatelab, Dan Egan, Mike Goldberg at IG Boardingshop, Mikey Taylor, Mike Anderson and the Anderson Family, Alanna Gabin and Robin Flemming, Kevin Hulem at Skately.com and last but not least, Tony Evjenth for everything you did to help me get through back in September 2008. I love you and miss you very much. R.I.P. 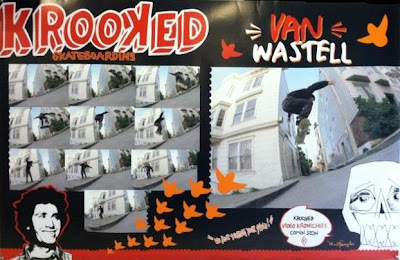 Feel free to check out the Van Wastell Youtube page I have going and please help me keep the wonderful memory of Van alive by sharing any photos or footage you may have on my official Van Wastell Facebook page. NEVER FORGET VAN. ALWAYS REMEMBER. Great memories of a great skater. real weight in this one. very important. really heavy. thanks for this, eddie. 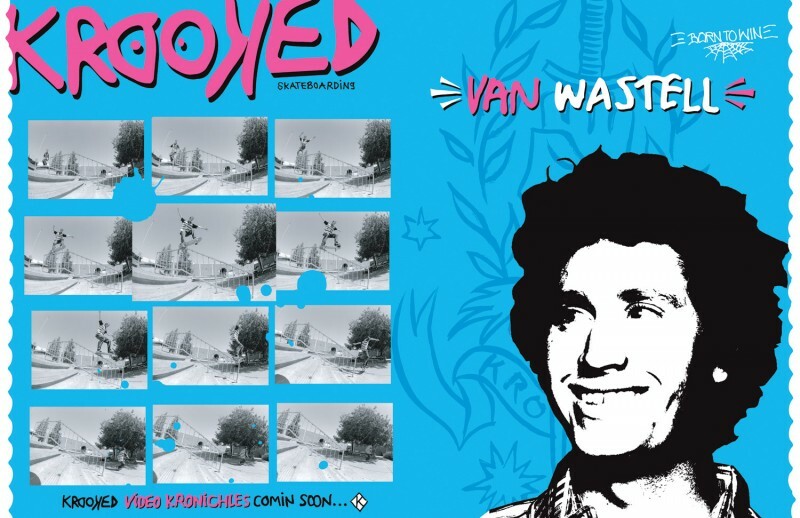 van was an amazing skateboarder and seemed like a really rad person too. 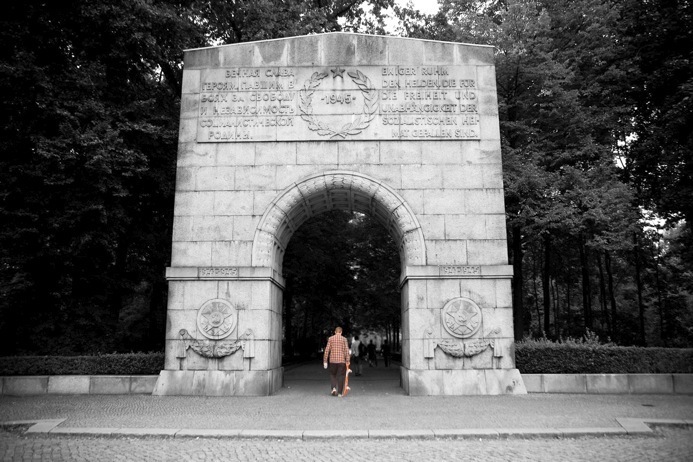 never forgotten. ...and thanks to chops for hosting this. Thanks for all the photos and stories Eddie! Van is deeply missed, and it's rad that you do what you do to keep his memory alive. Never forget! 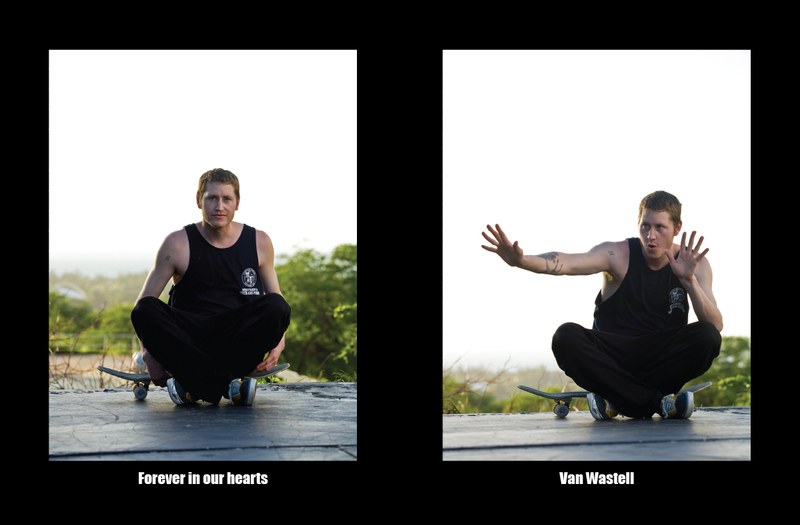 Van Wastell forever! Thank you Eddie for sharing your pictures and your personal memories of Van with us. He definitely never will be forgotten.